strangedream hopes you and your family enjoyed safe and happy holidays! 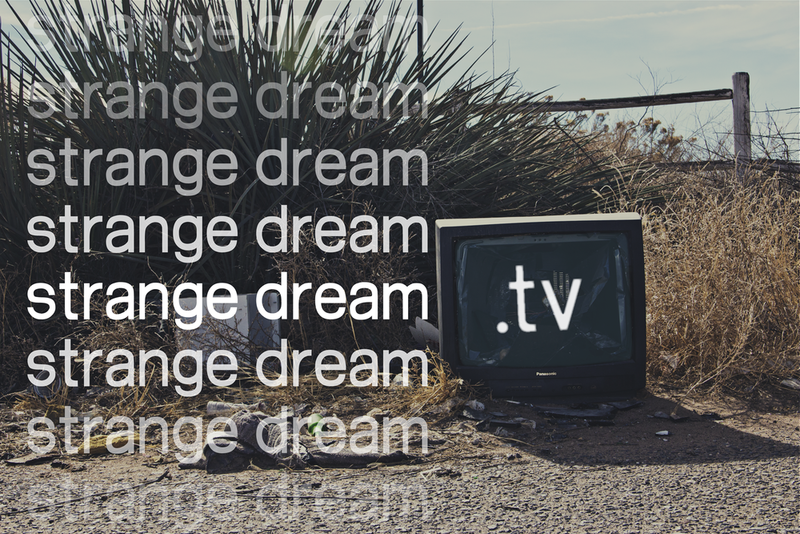 We are so excited to bring you a whole new way to view all the latest content we produce with strangedream.tv! This will now bring all of our online video content to one place! thank you for your interest in strangedream. we look forward to sharing our work with you! We are also introducing a brand new email newsletter. Stay updated on the latest video releases and special events such as screenings and release parties. We have a bunch of really exciting things planned for 2014 so you won’t want to miss out! looking to make a video? If you would like to talk to us more about producing a video for you, contact us today! Whether it be a music video for your next greatest hit or a new advertising campaign for a product or business. We can’t wait to hear your ideas and share our creative input with you! We like to think of our new website as our own TV channel. All of our content will premiere exclusively on strangedream.tv for your viewing pleasure. We can’t wait to show you what's to come! Thank you so much to all of our friends, family, clients, and fans from around the world! You helped make 2013 incredibly memorable for us. Keep showing that love on all your social networking sites, we can’t thank you enough for your continued support!